After two profit warnings, the new boss of Europe’s largest retailer will invest 3 bln euros to fend off online competition, and pledged to cut costs. A partnership with Tencent may help its ailing China unit. But sweeping change will be tough, and Carrefour is far behind rivals. Alexandre Bompard, the new chief executive of French supermarket Carrefour, on Jan. 23 announced plans to cut the retailer’s costs, invest in e-commerce, and a new partnership with Tencent to boost Carrefour China’s customer traffic. Bompard’s “Carrefour 2022” strategy will see 2 billion euros of cost taken out of the business by 2020, in part through more efficient purchasing. Europe's largest retailer, and the second-biggest in the world behind the U.S.’s Walmart, will also invest 2.8 billion euros by 2022 to accelerate its online offer. 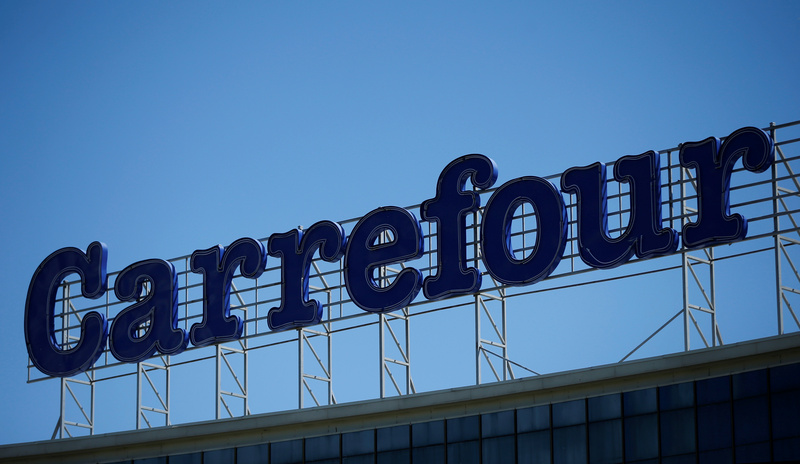 Carrefour added that a voluntary redundancy plan would be offered to 2,400 employees at its head office in France, out of a total workforce of 10,500. Carrefour’s shares were up 6.5 percent to 19.65 euros by 0902 GMT on Jan. 23.